Hearing about the fried bologna sandwich got me in the door, but once I looked at the menu - the tenderloin sandwich was also calling my name. Dugout Bar , which a publication awarded the title of “Indiana’s best dive bar,” is that kind of neighborhood gathering spot – featuring traditional home-style favorites that look, sound, and taste delicious. I started out with the fried mushrooms appetizer – they were steaming hot, with a light crust that didn’t overwhelm the fresh and juicy mushrooms. 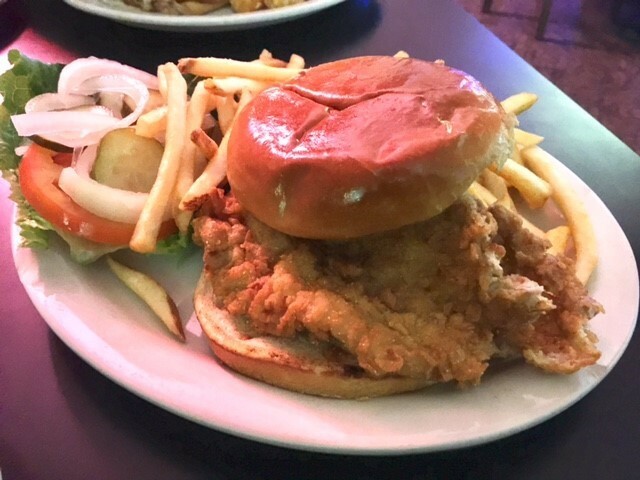 The tenderloin sandwich - way more tenderloin than buns - was amazing. It was meaty, with a thick crunchy breaded coating. 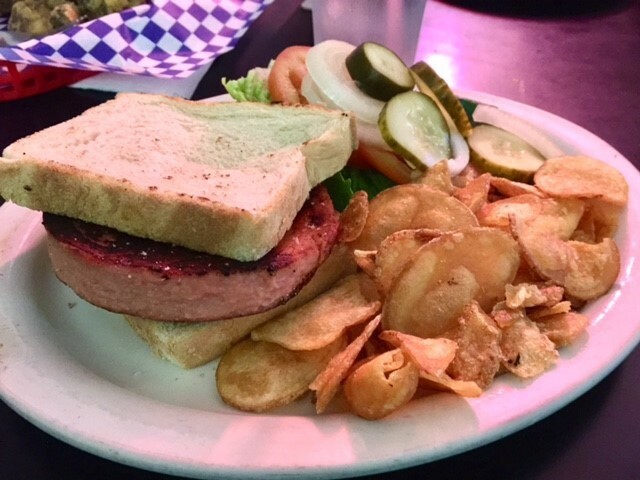 And the bologna, the reason I was there in the first place, well you can’t go wrong with a big hunk of bologna, fried just right, on toasted sandwich bread. 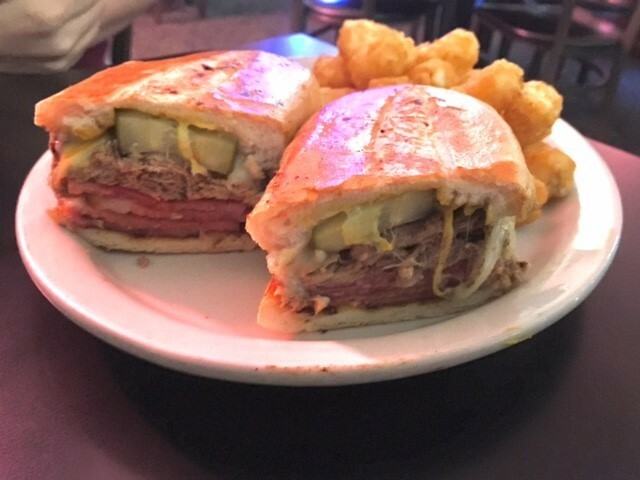 My friend had the Cuban sandwich – which is ham, pork, Swiss cheese, mustard, onions, and pickles. That, and the pulled pork sandwich and tenderloin sandwich, are his favorites at Dugout. The menu is not elaborate – mostly sandwiches and pizza, with some entree specials such as turkey Manhattan, meatloaf, fried chicken, and fish and chips - but the food is packed with flavor. Since Dugout Bar has been referred to as a dive bar, of course I didn’t expect to sit in a plush dining room. But it was a pleasantly comfortable bar atmosphere, with a warm and friendly vibe. Founded in 1954, Dugout Bar is in the Fountain Square neighborhood in Indianapolis, located at 621 Virginia Ave.
Have you ever eaten at The Dugout? Tweet me your thoughts and photos to @ErickaFlye .